Did you know that you don’t have to be a great essay writer to win a scholarship? Similarly there are many other such myths surrounding scholarships that prevent quite a few deserving students like you from acquiring a scholarship or worse applying for one. If this has stopped you from applying for one then it is probably time to clarify the other myths that you like so many others before you have fallen prey to. It’s because of myths like this and the ones that we will be discussing shortly that have left many scholarships till date unclaimed. These myths cover almost all aspects surrounding scholarships, right from the eligibility criteria to their availability. In fact, most of these myths condition aspirant’s into thinking that there aren’t many opportunities to acquire scholarships and the ones that are available have a tough competitions; moreover it is not worth the effort to look for one let alone apply for one either. So let’s find out which are the other myths that have prevented most of us from winning a scholarship or for that matter even applying for one. This is a common myth that most students have. While academic performance does play a role in acquiring one it is not the only determining factor. Besides even Grade ‘B’ and ‘C’ students are eligible for scholarships. Apart from these scholarships there are others that consider the individual talents of its applicants as a frame of reference to award a scholarship. In fact, there are many scholarships that cater to students with different talents, such as writing skills, music, painting, knowledge of many languages, commitment to social work and many many more. These types of scholarships give more preference to individual talents over academic performance to determine if the candidate deserves a scholarship. These scholarships are usually given by private institutes. Students have the assumption that only minority students get scholarships which gets them to think that their chances are slim. While there are scholarships that cater to these individuals not all of them are meant for minorities alone. As highlighted earlier, there are different types of scholarships that are designed to cater to individuals that are talented in sports for instance. One such type of scholarship caters to an athlete which only makes up a small amount of the scholarships that are available. Additionally the amount given is usually one third of the college cost. People have the belief that only students from low income families are eligible for scholarships. 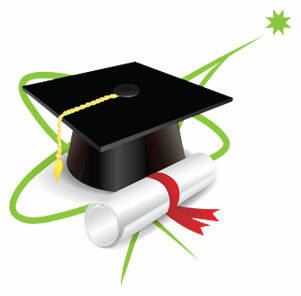 Most government aided scholarships tend to cater to students from low income families. But several scholarships from private institutes cater to students from middle income families. So the chances for middle income candidates acquiring scholarships are high. Students have a predefined notion that for one to apply for a scholarship, one needs to be a high school graduate. Although a majority of scholarships are meant for high school graduates there are also ones that are meant for elementary and middle school applicants. This notion of people usually stems from the ignorance about scholarships. This one has been around since the word “scholarship” was invented. It cannot get any clear than that. The common notion is that scholarship programs are created to only hideaway the money. Well this is so not true because the whole idea behind awarding scholarships is to give it away to deserving candidate. The fact is that very few scholarships go unclaimed, the reason being that the candidate doesn’t meet the desired criteria which is usually specific. This is partially true because winning a scholarship is no cake walk. Although the idea behind scholarship programs is to fund some of the college expenses of deserving candidates, the aim is to help exceptional students who will benefit from these services. But that does not mean that you don’t stand a chance. When picking a scholarship you first need to find out where your strengths lie and then decide on a scholarship. Although, participation in extracurricular activities is an added advantage it isn’t the only bases for acquiring a scholarship. Besides winning a scholarship is about quality and not quantity. Scholarship programs pay attention to the devotion you demonstrate to a particular activity or activities, rather than by the sheer quantity of your involvement. Therefore it is not advisable to spend all the time on extracurricular activities. You are better off picking an activity or activities that you are passionate about and involving yourself in them. Most Scholarship programs distinguish between their candidates on the bases of the individuality that the candidate brings to the fore. Parents and students alike are of the belief that if they apply for a student loan, it will reduce the chances of obtaining a scholarship. On a similar note even if they get the loan; this too will affect any chance they have of acquiring a scholarship. But this is not true because the amount received through a scholarship is sufficient to cover up only part of the college costs. The rest has to be obtained through education loans etc. Therefore, is essential to have other sources to help you pay for college. Nevertheless, applying for loans doesn’t affect your chances of acquiring one. Even though scholarships are designed to fund college fees, the amount is usually enough to cover only some of the costs. There are very few scholarships that will give students a complete free ride. So you still need to work for it rather than expecting everything to be given to you on a platter. While there are individuals who think of scholarships as a free ride, the ones that think otherwise generally think that going through the entire procedure of winning a scholarship is not worth the effort due to the minuscule sums offered by scholarship programs. However, the rewards are hardly of consequence because one can apply for more than one scholarship and are likely to win more than one scholarship, which together can amount to a decent sum enough to cover up some of the college fees if not everything. Now that we have highlighted and cleared the various myths surrounding scholarships, it is probably a good idea to begin the process and avail the benefits of scholarships that will help pay for some of the college fees and in turn pave the way to achieving your dreams with little effort. I really didn’t know all of these things about Scholarships. Thanks for the information! Thankyou for your feedback and I am gald that it was of some help to you. What kind of Scholarships do you have? If you are looking for imfromation on Scholarships then you need to visit you college Office to gather this information.